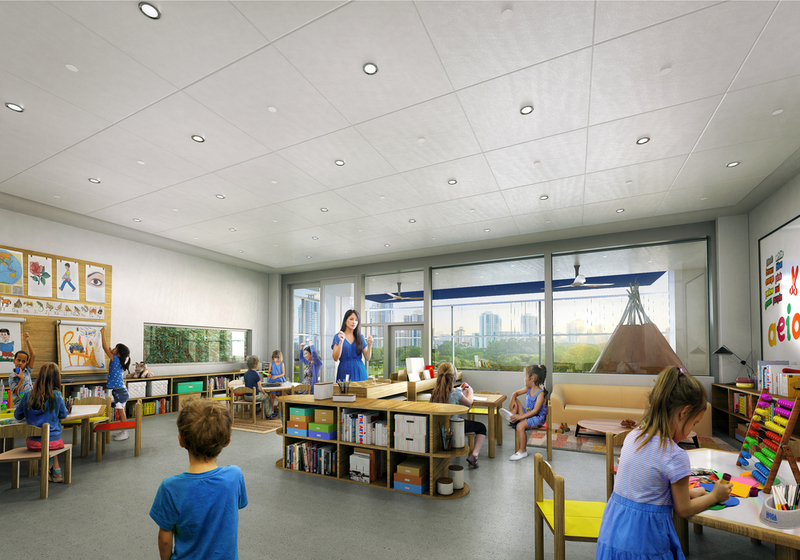 Bogle Architects have developed an architectural and educational vision that will provide a rich learning environment for pupils, parents, and staff. The design responds to the challenge of making a very large building, of over 50,000sqm, feel intimate and personalised. This is achieved by the arrangement of 'clusters', each of which are formed on a similar scale to a standard ‘nursery at the end of the street’, with 4 classrooms in every cluster. These clusters sit atop a podium level which handles the extensive transportation web of bus, car, taxi and pedestrian arrivals and departures. 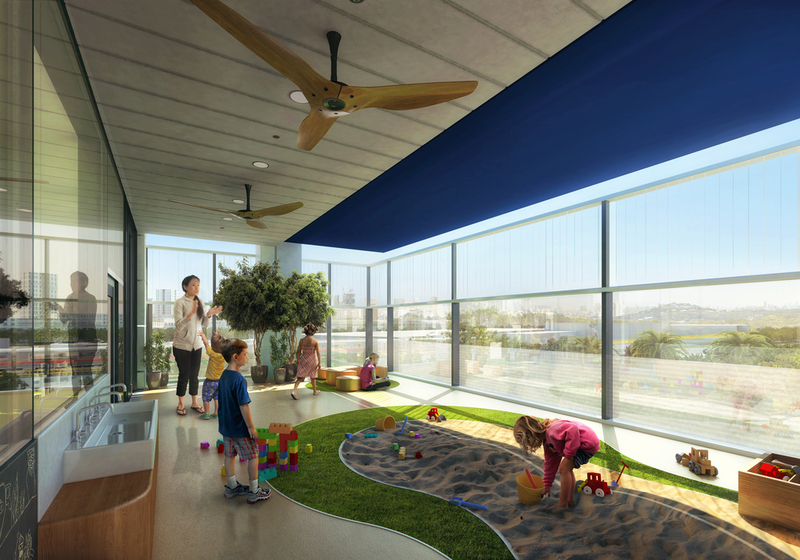 "Its vast scale and transport implications have led us to find new solutions while keeping our design true to the concept of the 'nursery at the end of the road."